The beautiful island of Roatan is one of the Bay Islands of Honduras and is considered to be one of the Caribbean’s hidden gems. Roatan is a vacation delight with white sugary beaches and outstretched jungles for some adventurous exploring. It is also cuddled by the world’s second largest barrier coral reef with a unique ecosystem which makes for excellent swimming and is known to be one of the prime destinations for scuba diving. With so much to explore and do on the enchanting island of Roatan, it’s no wonder people seek to return. The very first industries that came to be established on the Caribbean Island of Roatan resulted from the growing spread of the fishing industry. High yields in the commercial fishing sector put Roatan on the map for fish exports, creating jobs and improving the infrastructure that was oriented towards exporting shrimp, lobster and fish. Now, however, as a result of the collapse of fish stocks, the economy has lost its diversity, and tourism has taken over as the mainstay. Modern telecommunications systems exist on the Caribbean Island of Roatan, allowing reliable telephone, fax, and Internet access. In addition to a 24-hour electricity supply and paved roads, good medical facilities also exist. The Roatan Electric Company provides most of the island’s electricity. Areas outside of the RECO area tend to use a combination of solar electricity and diesel generators with wind generators. Honduras is a stable democracy and recognizes the value of tourism, Caribbean real estate and foreign investment to the nation’s economy. In keeping with this belief, Honduras has passed laws that protect the environment and encourage foreign investment and ownership Roatan real estate. The Honduras government has privatized most businesses and shown great interest in attracting foreign investment. The most recent move in this direction is the opening of four International Airports in Honduras, which are operated by the same company that operates the San Francisco Airport. The government of Honduras understands the need for absolute stability to attract foreign investment. The laws extend the same protections to foreign Investors that they do to citizens. Foreigners can own Roatan real estate – up to 3,000 square meters in one’s own name. Larger parcels of land can be owned by forming a Honduran corporation. For details, and help with the actual procedures, it is better to contact a Honduran attorney. The lawyer will handle the major work of researching all the documents and ensuring that the titles are valid and up to date. They will also check that the property is registered with the proper and relevant municipality. The legal property deed that you will get at the end of this procedure is called an ‘Escritura Publica’; you will get it when the purchase has been approved. 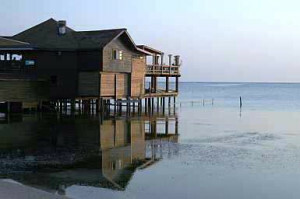 Traditional bank financing for Roatan real estate is uncommon, and interest rates are typically high. The terms of each sale may differ, but owner or developer financing can sometimes be available with interest rates in the range of 10% to 12%. Most Rotan real estate investors opt to arrange for financing in their home countries. Honduran residency can also be obtained with the help of a local lawyer. You can contact the Honduran Embassy or Consular Office near you, and ask them for information regarding Honduran residency and a list of the incentives offered. For a Caribbean island vacation with all the beauty you could ask for without the associated high prices and crowds, you can’t go wrong on the Caribbean island of Roatan. The reef surrounding this Caribbean Island offers some of the world’s best diving. It also ensures calm beaches and clear water for swimming and snorkeling. Diving is a special attraction and the island’s Marine Institute, with their Dolphin Discovery programs, offers an exciting opportunity for studying Marine Sciences. The program enables divers to interact with free-swimming dolphins. Aside from these adventures, you can also discover the interior of the island and go hiking. You can charter a boat and head out for some deep-sea fishing or go horseback riding on the beach. You can explore the island on a bike, moped or go shopping for unusual arts and crafts and duty free goods. Many visitors choose to take one of the two jungle canopy tour adventures. The Museum of Roatan is at Anthony’s Key and has artifacts and displays as well as educational programs about the wonderfully diverse history and culture of the Island. At the Carambola Botanical Gardens at Sandy Bay, there are some archaeological sites that date back to the Mayan age. You could also arrange a day-trip visit to the city of Copán on the mainland of the Caribbean Island of Honduras, an ancient Maya archeological site. These impressive ruins are a good way to get a feel for one of the most sophisticated and advanced cultures of the ancient world. 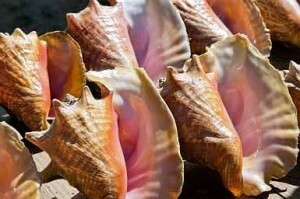 Roatan offers a stunning array of food choices. You have the option of dining at any one of Roatan’s excellent restaurants or casual eateries. There is an international variety of restaurants, and chefs from all over the world provide visitors with a range of mouth-watering and attractive dishes. The Idyllic weather present on the Caribbean Island of Roatan throughout the year makes it a big draw for tourists and Caribbean real estate investors. Temperatures range from 77F to 84F and gentle cooling tradewinds blow in from the southeast. The time from October to December is the wettest, but even then, rainfall is periodic and in short bursts. Average water temperatures vary from 78F during winter months to 82F during summer. The Bay Islands group lies off the coast of Honduras and consists of 3 main Caribbean Islands, 3 smaller islands, and 65 small cays. Between these islands and the mainland of Honduras are the tiny ‘Cayos Cocinos’, or the Hog Islands. The Caribbean Island of Roatan is the largest of the six Bay Islands, approximately 35 miles off the North Coast of Honduras in the Caribbean Sea. It is about 32 miles long and is 1 to 3 miles wide. There are a variety of direct international flights from the United States to Roatan. Continental Airlines provides flights leaving from Houston and Newark, Grupo Taca offers flights from Houston and Delta offers flights leaving from Atlanta. You can also take flights to San Pedro Sula or Tegucigalpa and hop on local carriers like Islena, Sosa and Atlantic Airlines for daily flights to Roatan. From Europe, many international airlines offer flights to both Tegucigalpa and San Pedro Sula on the mainland, from which you can find a variety of connecting flights. Most major European airlines also have daily flights to Miami and Houston with connecting Flights from Mainland Honduras to the Caribbean Island of Roatan. A passenger ferry offers daily return trips to La Ceiba, a two-hour trip one-way. 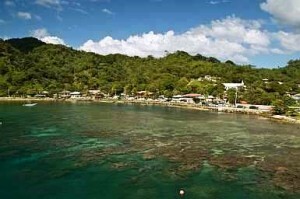 The ferry dock is in Brick Bay, which is between French Harbor and Coxen Hole in Roatan. Several Western Caribbean cruise ships have Roatan on their regular itinerary. If you are taking advantage of the passenger service between the U.S. and Honduras or Roatan, and are a citizen of Canada, Australia, New Zealand, Japan, the United Kingdom, the US, or most other western European countries, no visa is required for a tourist visit of 30 days or less. Citizens of other countries will have to obtain a tourist card from a Honduran consulate. The local currency is the Honduran lempira, but U.S. dollars are widely accepted, as are major credit cards and traveler’s checks. Small gift shops and restaurants may not accept credit cards, though. There is a 12% official sales tax and tipping is generally 10-15% of the bill. However, this may be included in your bill as a service charge, so ask if you have any doubt. The Caribbean island of Roatán is the only one of the Bay islands with roads and a reliable communication system. Paved roads link almost all of the resorts to the towns and airport. During the period of the Mayan reign in Central America, which was between the 4th and 10th centuries, a smaller, less advanced group of Amerindians called the Paya populated the Bay Islands. Later, during their 13th and 14th century exploration and discovery phase, Europeans discovered this cluster of Caribbean islands. For the next 200 years or so, Spanish Conquistadores on one hand and British pirates on the other, battled for the control over these islands mainly ignoring, and being ignored by the Indians. During this period, these Caribbean Islands were used as a source of food and wood supplies, a place to find safe harbor, and a slave-trading hub. Some scattered groups of slaves were left here for a safekeeping of sorts during this entire time while the fighting raged, to keep them away from the heat of battle. When the winners of the battle finally came bacj to take them, the slaves dug in their heels and refused to leave. These are the ancestors of the Garifunas, who still populate large parts of the Bay Islands today, and still continue to proudly maintain their own cultural identity and language. Eventually, the British established and maintained control until the early 1960’s when the Islands were officially ceded to Honduras. In recent years, a huge number of North Americans and Europeans have begun living in the Bay Islands, especially on Roatán, and add to the cultural mix. One of the few unspoiled islands left in the Caribbean, Guanaja is one of the three Bay Islands off the Honduras coast. A wonderful climate, together with cool breezes, white sands and crystal blue waters far from confines of civilization, make it an ideal place to adventure and explore. You can relax in a beach hammock, sipping tropical drinks made with native fruits or enjoy breathtaking panoramic views of the ocean, while fresh sea breezes and natural rainforests provide natural air conditioning. The total GDP of this Caribbean Island in 2006 was $20.21 billion, with a per capita income of $2,800. Inflation is relatively low at 9.2% with a medium-high unemployment rate of 28%. The agriculture sector is based on crops like bananas, coffee, and citrus as well as beef, timber, and shrimp. Agriculture employs 34% of the 2.54 million strong workforce, while industry accounts for 21%, and the services sector employs 45%. Industries include sugar and coffee, textiles and clothing, and wood products. The export trade is strong with coffee, bananas, fruit, palm oil, lumber, shrimp, lobster, and gold making up the chief exports. Major trading partners are the U.S., Germany, El Salvador, and Guatemala. Any foreigner can own Guanaja real estate, with a limit of up to three-quarters of an acre for an individual, 1.5 acres for a couple as a joint holding, and unlimited acreage on forming a Honduran corporation. There are several plans that make it possible for a foreigner to get residency. One of these is to qualify as a ‘Retiree’ living off a foreign income. You have to prove that at least $1,000 per month will be transferred into the local currency. Under this program, you will never be taxed on your foreign income and you will become eligible for a Dispensa, enabling you to import your household goods and one car in a one-time transfer, free of import duty. Alternatively, you may qualify as an investor, showing that your business outlay totals a minimum of $1,000,000 lempiras – roughly about $560,000 in fixed assets. You have to submit a business plan, and may even be given a tax holiday of as much as ten years, and/ or a suspension of duties for your business related imports. You may also qualify as an employee with a local Honduran company sponsoring you. In case, before you buy Guanaja real estate, build or buy a home, or apply for residency, always consult a Honduran lawyer. Because land prices are not exorbitant, Guanaja is an excellent place for Caribbean real estate investment. Small beach lots start at just $50,000 and single family homes start at only about $100,000. The Caribbean Island of Guanaja is off the beaten path and not as well known as many other Caribbean island. But with the popularity of places like Costa Rica and the Dominican Republic growing and becoming more expensive, Guanaja is an excellent place to visit, relax or just settle down. Diving and snorkeling are the main activities on the Caribbean Island of Guanaja. It is surrounded by a barrier reef, and dozens of dive sites are close to the island. These may feature anything from shallow reefs and wrecks, to caves, canyons, volcanoes, with dropoffs from 20 to 6,000 feet. An amazing variety of coral and sponges, as well as marine life such as turtles and hundreds of tropical fish species are abundant in the area as well as dolphins, and sharks like whale sharks, reef sharks, black tips, and hammerheads. The island waters also teem with Bonefish and are an angler’s paradise. Deep sea fishing for bigger game fish like Sailfish, Marlin, Wahoo, Barracuda and Mahi Mahi is also available via charter boats. You can take your catch back to your resort where the chef will be happy to prepare it for dinner. Guanaja has a variety of eating establishments where visitors can get a taste of Caribbean Island life. Among the most popular of these is the Pirates Den Bar and Restaurant, located in the center of town. It offers fresh seafood, chicken and meat dishes with a bar and tableside service. There is the Best Stop Restaurant and Bakery, whose chef is famous for his hamburgers, hot wings and subs. The bakery that is a part of this establishment makes breads, cakes pastries and pies. The Pirates Landing Disco, located in the center of town, has a dance floor, light show and live DJ every night of the week except Tuesdays. The Crazy Parrot Bar has a sports theme and has a 5-A-Side Football pitch complete with floodlights. Weekly competitions with prizes take place here, making it an exciting place for local nightlife. Dina’s Reef House Lounge Bar and Restaurant, on Pelican Reef offers waterside dining and dancing with local island style music and typical island food, like beans, rice, tortillas and cheese. The weather in Guanaja is making this Caribbean island more popular with vacationers and Caribbean real estate investors. It is mostly sunny in the bay islands and Guanaja, with average air temperatures ranging between 76 to 84F throughout the year. Cooling tradewinds are almost always constant and sea breezes fan the island most of the time. The weather varies between tropical sunny days and rain during the wet season. The water temperature stays in the range of 78 to 82F, rarely rising to 84°F, and underwater visibility ranges from 70 to 150 feet. Columbus first discovered Guanaja on his last voyage in 1502. The Paya Indians were the residents of Guanaja before and during this time. Columbus originally called it Pine Island. Later inhabitants included English and Spanish settlers as well as enterprising pirates. In 1859, the area ceded from British Honduras to become the Republic of Honduras. Guanaja is a unique Caribbean island and a perfect place for adventurous souls looking for new horizons. The total population is approximately 10,000, the majority living on Bonacca which is the largest town, located east of the main island. Two other population centers are Mangrove Bight and Savannah Bight. Bonacca is overpopulated with narrow walkways and bridges over canals, which make for the “streets” of this totally carefree community. Travel around the island is by motorboat. Bonacca provides visitors with local flavor, colorful houses, friendly people, and a distinctive personality. A man-made channel cuts this Caribbean Island in two and provides access to the north side. 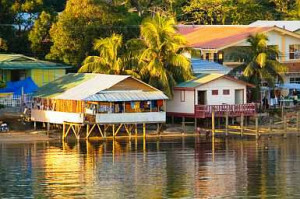 Honduras is fast turning into one of the most sought after Eco-tourism destinations in the world. It has an abundant biodiversity, ranging from its coastal lowlands and mountainous tracts of pristine forests to its sparkling offshore reefs and mangrove-lined lagoons. The sea is the main attraction on the Caribbean Island of Utila. Filled with such exotic sea creatures as eagle rays, manta rays, and sailfish, rich in stunning corals, the waters around Utila are the best location for diving and snorkeling. Surrounded by a diverse and vibrant reef system, colorful tropical sea life and the ever-elusive shark, the waters off the Caribbean Island of Utila are especially alluring as a diving destination. To reach Utila from any of the islands, you can take the Utila Princess, the regular passenger ferry running twice daily between the Municipal Dock and the mainland port of La Ceiba. There is a small airport in Utila that receives flights from Atlantic Airlines and Aerolineas SOSA. Utila does not have any of the international chains of restaurants or even a national food chain. Locals run all of the catering businesses and eateries. Lodging suitable for all tastes and budgets can be found which range from shared dormitories that cost $2 per night, to luxurious homes and resorts. The pricing of accommodation is fairly competitive and rates usually indicate the quality of service you will receive. In terms of Utila real estate, there are a number of homes for sale throughout the island. These homes are ideal for second vacation homes, retirement homes and Caribbean real estate or land investments. Besides being secure and profitable, Honduras also has United States title insurance available. Even though there has been a recent rise in Utila real estate prices, they are not likely to reach the prices on the Caribbean Island of Roatan anytime soon. Investing in Utila real estate is still quite profitable – you will need to be able to bargain to get good value for your money. Although community on the Caribbean Island of Utila is traditionally very laid-back, contact with international travelers has given it a certain level of sophistication. It is very quickly becoming the meeting place for divers from across the globe. Voted the best value for a quality stay in the Caribbean, Utila is the Caribbean island destination of your dreams. Whether you want to visit the island for a brief vacation or decide to spend the rest of your life here, this diver’s paradise is one of the nicest places to be. There are over 60 different scuba diving sites around the Caribbean Island of Utila to choose from, ranging from caves to numerous wrecks – including the famous Halliburton. Divers hope for a chance meeting with the famous whale shark, which migrates into the waters around Utila. Its average length of 39-60 feet makes it the largest fish in the world, but it is harmless and feeds primarily on shrimp, zooplankton and snapper eggs. The Caribbean Island of Utila is probably the only place in the world where these huge whale sharks can be seen easily by divers. The Caylitos, or small cays, are a small collection of tiny islands located off the southwest end of the island. These are barely a couple of feet above sea level, and some are just 100 feet across. Most of the Cays are privately owned, but many are open to visitors. Water Cay has no buildings or inhabitants, can be reached by a 30-minute water taxi ride from the town center, and offers great snorkeling, and rejuvenating isolation. Water Cay also hosts the famous Sun Jam, a two-day music and dancing festival held during the first weekend in August. Utila also has the new Turtle Harbor Marine Reserve, an important sea turtle nesting area, and home to the indigenous black iguana. If you want to delve into the depths, marine biologists will accompany you to the sea turtle nesting areas in both 10-30 feet of water and 3-7 feet shallows. 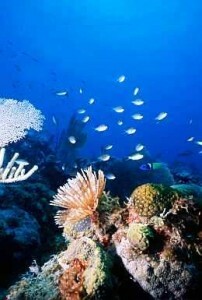 The Bay Islands have some of the best reefs in the world. They are located on the edge of a continental shelf, between shallow and deep-water habitats; almost 96% of marine species’ inhabiting the Caribbean can be seen in these waters. These include species like the Atlantic bottle-nosed dolphins, spinners, loggerheads, hawksbills, whale sharks and leatherback sea turtles. Bordering the Mesoamerican barrier reef system, which is the second largest reef in the world after the Great Barrier Reef in Australia, the Caribbean island of Utila has some of the most beautiful white sand beaches, warm and calm azure waters and tropical island sunsets in the world. The Bay Islands are well known for their exceptional tropical climate. On an average, the yearly rainfall is 100 inches, creating a tropical island paradise that remains luxuriantly green through the year. For this reason alone, Utila is a big draw for both tourists and Caribbean real estate investors. The official wet season begins around October and lasts until January. The islands receive their highest rainfall in December. The average annual temperature is around 85°F, although it varies through the year. Temperatures hover around the upper 80s in summer and drop to the lower 80s in winter. During summer, there can be entire weeks without rain, although there are occasional tropical downpours that come as a welcome respite from the heat. There are ruins of Amerindian origin on all three Bay Islands, showing that they were inhabited for a long time before the Europeans arrived. When Christopher Columbus arrived on the island of Guanaja in 1502, it had a large Indian population of what he thought were cannibals. The original inhabitants of this Caribbean island were enslaved by the Spanish and sent to work in the gold and silver mines of Mexico and on the plantations of Cuba. Spanish rule did not last very long and Dutch, French and English pirates soon established settlements on these islands, looting Spanish cargo vessels loaded with gold and other precious cargo. Henry Morgan, the English buccaneer, established a base in the 17th century at Port Royal on the island of Roatan, at a time when almost 5,000 pirates inhabited these islands. Near the middle of the 19th century, the British colonial era ended and these Caribbean islands became a legal part of greater Honduras. The Caribbean Island of Utila has been part of Honduras for over a century now. The local government works diligently to promote and protect its unique, colorful culture. 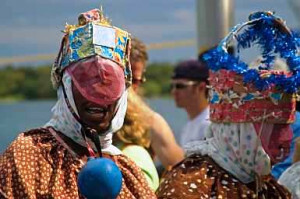 The Garifunas, descendants of the slaves who stayed on the island, still inhabit most of the Bay Islands, retaining their language and cultural identity and living in villages like Punta Gorda. The cultural history of the Caribbean island of Utila has led to the English-speaking Afro and Anglo-Caribbeans, the modern islanders, being adapted to international mores and geared to receiving tourists. Originally arriving here from the Cayman Islands, they have a history of interacting with the international community through contact with sailing merchants as well as through the fruit trade. The Caribbean Island of Utila and the Bay Islands are located in the tropical zone. The Caribbean Sea provides resources that are perfect for supporting present day tourism. Located about 29 km from La Ceiba, the mainland port of Honduras, Utila is only 4 km wide and 11 km long. The main International Airports in Honduras are all in Tegucigulpa and San Pedro Sula. There are International flights to and from Tegucigulpa and San Pedro Sula daily to the U.S. airports of Miami and Houston. Most international visitors prefer to fly into San Pedro Sula and from there take connecting flights via La Ceiba to Utila on small 15-20 passenger light aircraft. The neighboring island of Roatan has international flights from Houston and other cities. The schedules of the local airlines are designed in order to provide easy connections with these international flights. The official currency of Honduras is the Lempira. One Lempira = 100 centavos. Notes are in denominations of La500, 100, 50, 20, 10, 5, 2 and 1. Coins are in denominations of centavos 50, 20, 10, 5, 2 and 1. A real is one-eighth of a Lempira, and is a colloquial usage, though there is no such coin. Like in the rest of Honduras, the U.S. Dollar is freely used instead of the Lempira, and local businesses and stores offer the same or sometimes even better exchange rates than the Honduran banks, and generally don’t charge exchange commissions. Guanaja is located a short, two-hour flight away from the southern United States. 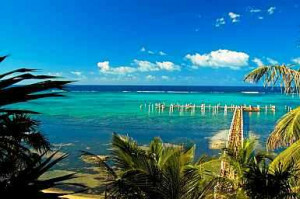 It is about 70 km from the north coast of Honduras and 12 km from Roatan. The official Honduras airline flies from Miami to San Pedro Sula, which is on the mainland, with direct connections to Guanaja. Local airlines provide domestic air service. Guanaja has no roads and the airport has water taxis, which take you to where you are staying. The airport is on the main island, while most of the inexpensive hotels are in Bonacca. Regular flights arrive at San Pedro Sula, Roatan and La Ceiba and the connecting flights to Guanaja are short. Charter flights are available from these places on request. The Guanaja airport is small and black-topped; several daylight arrivals and departures take place. The population is small enough to get to know almost everyone. There is essentially one road on the entire island and about four cars. English and Spanish are both widely spoken.